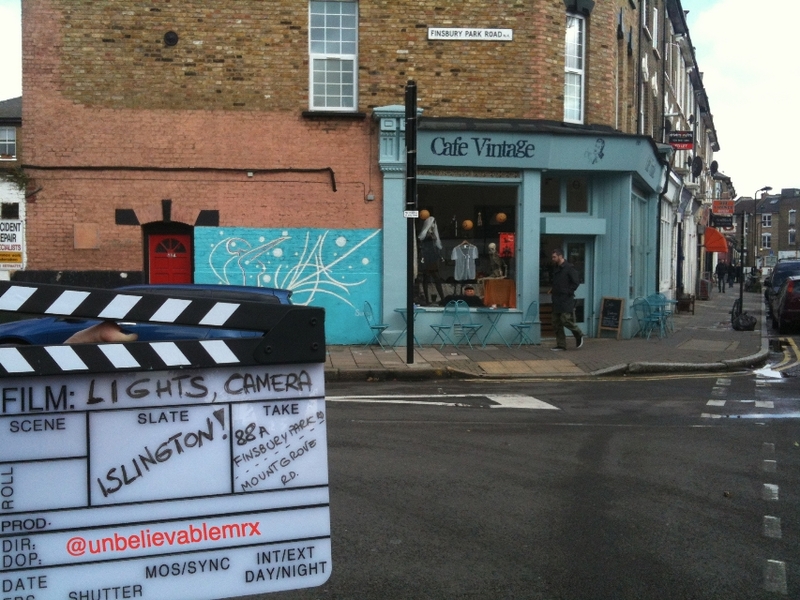 January | 2014 | Lights, Camera…Islington! 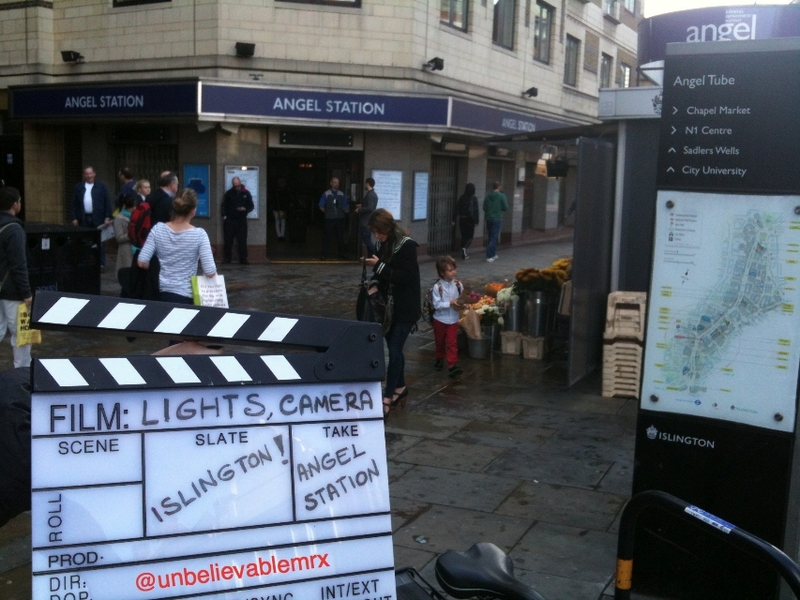 After Farringdon Station in V for Vendetta, our Islington Stations mini series bring us this time to Angel for a new movie and a new star to film in our borough. In The Other Man (2008), Liam Neeson is Peter, a Cambridge based software engineer whose wife (Laura Linney), a shoe designer, passes away at the beginning of the movie. While grieving, Peter discovers emails she kept private and understands that he may not have been the only man in her life. Confused, he decides to get to the bottom of this and track down that other man. A quest he initiates in Islington and will take him to Milan and Lake Como. Having discovered the emails, he gets on a train. We are left to wonder where is he off to until…we spot him walking out of Angel Tube station, head down, deep in thought. Where is Liam Neeson heading? Will he be staying in Islington? 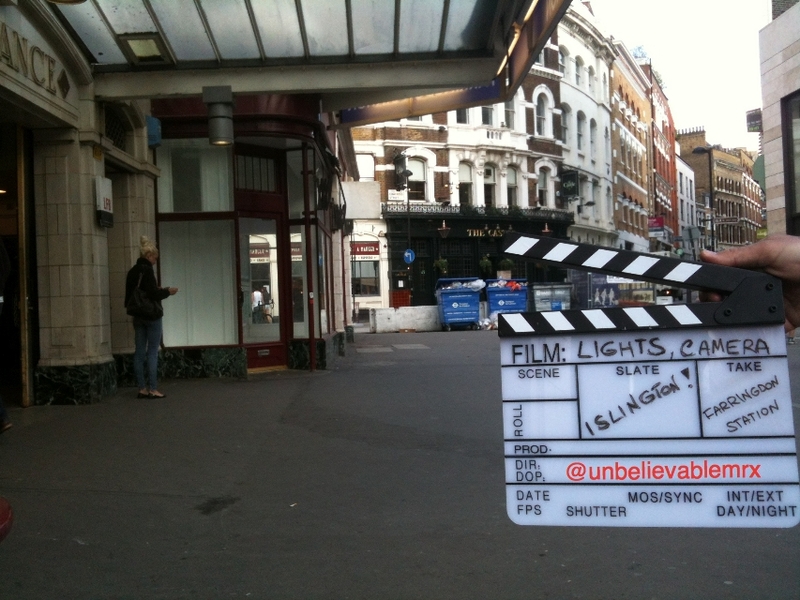 You’ll have to keep reading your favourite Islington Film Locations blog to find out! From one Islington boundary to another and yet again it is with our Hackney neighbours that we are getting cosy. No surprise here when this week’s film was mainly shot in North London between Camden, Hackney, Islington as well as Southwark. In Mike Leigh’s sparkling comedy Happy-Go-Lucky (2008), Poppy (Sally Hawkins) is a cheerful and cheeky primary-school teacher whose happiness and exuberance irritate in no small measure her bitter driving instructor Scott (Eddie Marsan). Screenwriter and director Mike Leigh and his actors went on to collect countless awards and nominations for their work. Once again ladies and gentlemen, we can proudly say that the main character of a movie ‘Lived in Islington’. Or can we? Did she really? Poppy’s house is on the corner of Finsbury Park Road (Hackney) and Mountgrove Road (Islington). Technically speaking the house’s door is the last one on Finsbury Park Road but the living room and its 3 windows overlook Mountgrove Road! Since Poppy is taking driving lessons and getting in and out of the flat, you can spot it, the street and the area many times throughout the film. In fact, this is likely to be a familiar corner to many Islington residents. What in the film is an empty orange corner shop ‘To Let’ has since Happy-Go-Lucky become the popular Cafe Vintage. On another occasion, when returning from a day out to visit her pregnant sister, Poppy and her flatmate Zoe (Alexis Zegerman) can be seen driving down Canning Road, at the corner of which Scott is standing, looking at their flat. When Poppy spots him, he shoots off, up Canning road. At her next driving lesson, Poppy confronts Scott. 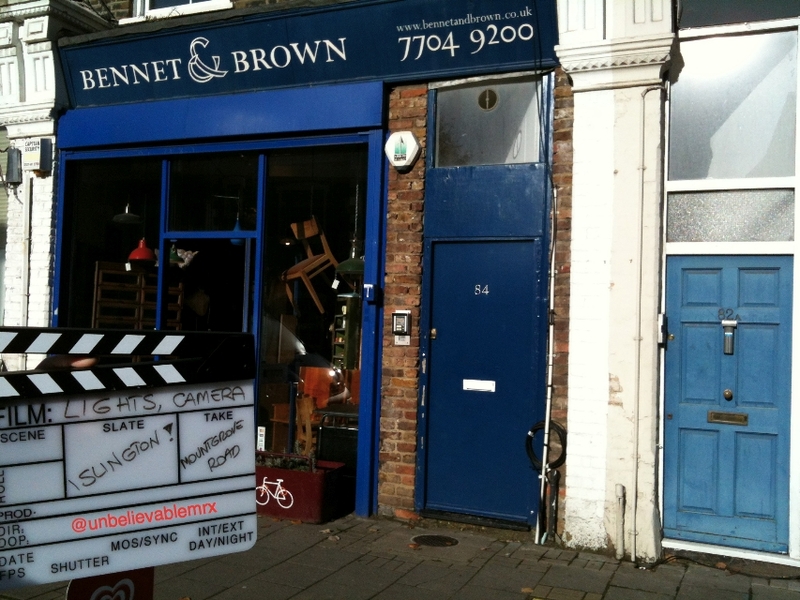 While walking towards the car parked on Mountgrove Road you can recognise the blue front shop of Bennet & Brown, the peculiar grey double-doors next to it and the small food market store. Once in the car, they turn left onto Wilberforce Road, back to Hackney. Where will we next spot our heroes? Yet again another movie we’ll be coming back to. For now, and since you have made it that far, you may as well want to reward yourself with one of Cafe Vintage’s yummy treats! A big thank you to Nicola Baird for this brilliant post on our Islington Film Locations adventures! What made you focus on Islington? Westland Place: Julia Roberts’ Studio! 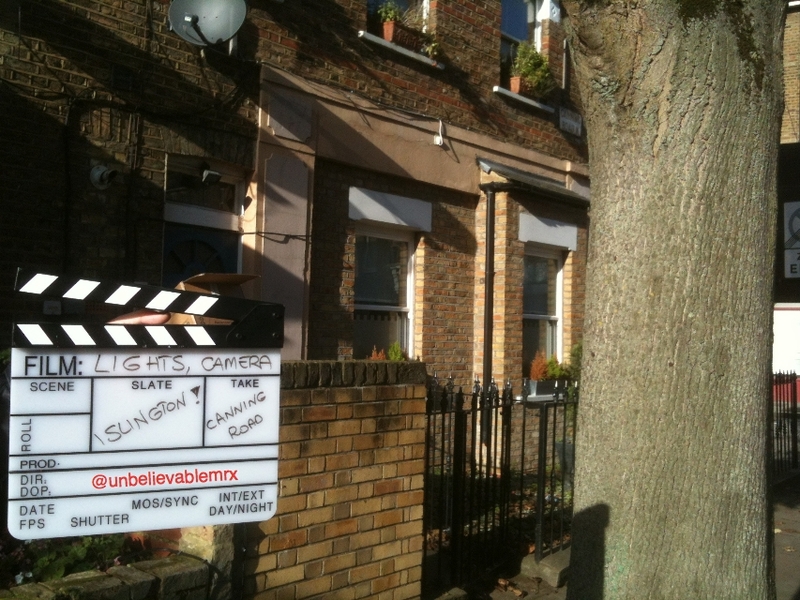 One of the funniest aspects of Lights, Camera…Islington! and one of the main reasons I started it, is the time spent walking around the borough discovering areas, streets and corners I did not know before, including its boundaries. Last week we stopped by Farringdon Station and were therefore within yards of Camden. Today, we stay in the southern part of Islington but head off to City Road, an area we have not yet covered. The reason I mention Islington boundaries here is that when I was strolling along City Road towards Old Street, as I was getting closer to our destination, I realised that at some point, on one side of City Road I was in Islington, on the other Hackney… Damned! Yep, you’ve guessed it. Our film location was on the ‘wrong’ side of the road. Dilemma. What should I do? In the end, I opted to take the picture. I mean Come on !!! Five steps before I was in Islington. Worry not dear reader, Islington has film locations galore and I will not make a habit of trespassing our boundaries to travel all over London. I may on similar occasions to this one do so when the location is within yards of the borough, and when other scenes of the same movie were shot in the borough. 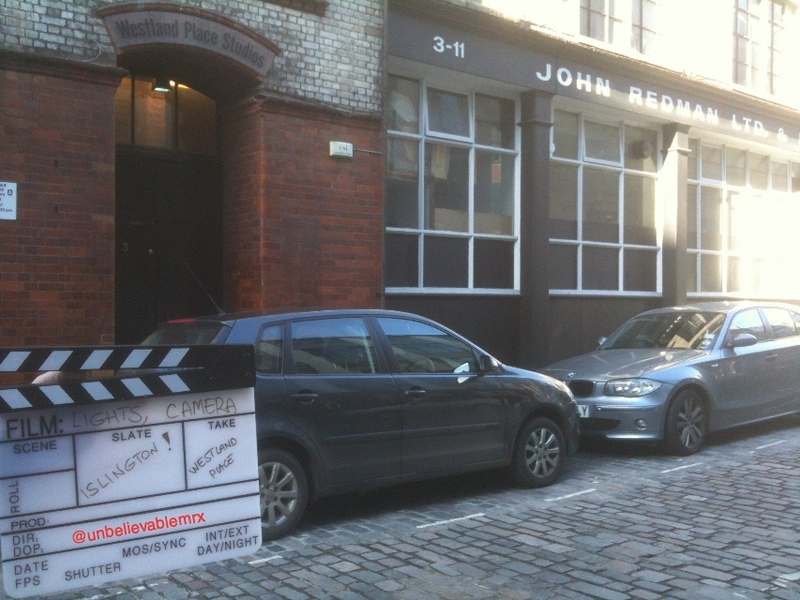 This point clarified, let’s reveal our Islington Film Location of the Week! Closer (2004), is Mike Nichols’ adaptation to the big screen of Patrick Marber’s award winning play. This drama with a stellar cast that included Julia Roberts, Natalie Portman, Clive Owen and Jude Law, tells the story of 2 couples whose relationships become, well, slightly complicated shall we say. Early on in the movie, Dan (Jude Law) gets his picture taken by Anna (Julia Roberts) for his book. Dan’s girlfriend Alice (Natalie Portman), comes to meet him at the end of the session. It is when Dan steps outside to greet Alice that we can spot that Anna’s studio is in Westland Place, off City Road, in what used to be John Redman ltd & British Empire Pipe Company. If you go there today, I am pleased to say that you will still be able to find studios. However, I am equally sad to report that, after months of keeping an eye on the door in thunder, lightning or in rain, no signs of Julia. Bet she’s moved to Islington! Countless films shot in London feature its famous and instantly recognisable underground stations be it the corridors, carriages, ticket halls, exits or familiar London transport signs. Such scenes, no matter how brief they may be, allow the spectators to relate to those familiar sitesand at the same time act as ‘establishing shots’: in a blink of an eye, we know where we are. I am pleased to say that Islington’s tube and train stations have enjoyed their fair share of spotlight. In the science-fiction thriller V for Vendetta (2005), by the late 2020s Great Britain is a fascist state. One freedom fighter known as V (Hugo Weaving) fights this oppressive society and threatens to blow up the Houses of Parliament on 5th November, as attempted by Guy Fawkes in 1605. In doing this, he meets a young woman called Evey (Natalie Portman). 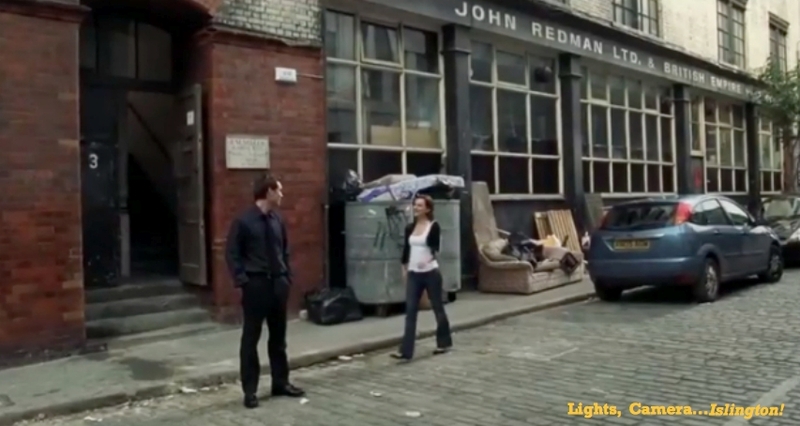 Before Islington appears on the screen, the borough is mentioned at the very beginning of the movie. While Evey is getting ready to go out, the TV is on and presenter Lewis Prothero (Roger Allam) warns his viewers about the situation in the USA and how similar it is to the one faced by Great Britain years ago “(…) Islington, Enfield, I was there, I have seen it all (…)”. However, the first time we get to properly spot Islington is later on when Evey tells V about her childhood. While she talks about the death of her brother, her parents’ political engagement, we can see her as a young Evey (Madeleine Rakic-Platt) handing leaflets out outside Farringdon Station. Since many scenes of V for Vendetta were shot across Islington we will have the opportunity to get back to it!